Daughter of Nigel Patterson, it appears property sales may have always been in the genes for Nicola and although it was seemingly destined for her to join the family estate agency business, not before she had earned substantial experience in previous sales roles. 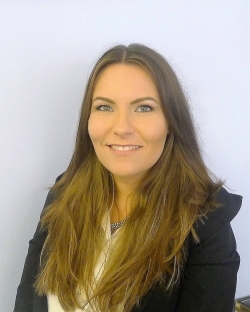 Prior to settling into the world of estate agency, Nicola specialised in recruitment within the financial sector, placing qualified financial applicants within permanent senior positions in finance all over the UK, a role that has many similarities to that of one in estate agency. She became highly successful at this role and attributes much of her experience in negotiation to this. Having a long-felt love of property, Nicola proceeded to start her career in the property sector with an estate agents in Barkingside before being promoted to Valuer in the Thurrock town of Grays. Nicola then joined PATTERSON HAWTHORN as a dedicated Valuer, a role in which she excelled at, leading to her promotion to Manager at PATTERSON HAWTHORN's newly relocated Rainham Office in Upminster Road South. On her days off Nicola enjoys spending time with her partner and two daughters. David joined the Sales Team in the Rainham office in 2014 as a negotiator and quickly made his mark. During his interview he expressed a strong desire to firstly learn a great deal about the property sector, and to secondly become a successful negotiator, we can safely say that he has achieved both of these goals and continues to excel in his role. His calm and friendly approach make him a firm favourite of buyers and sellers alike, and being brought up in the local area has helped with his successful start in his estate agency career. In his spare time he is a keen football supporter and player, and enjoys spending time with his girlfriend and family. Simon’s career in sales is a long and successful one. Originally from Ipswich, Suffolk boy Simon moved to Essex shortly after graduating from Northampton university, and since then has embarked on a fruitful and impressive career in sales. Before joining us, Simon worked as a Sales Trainer in an energy brokerage firm where he was responsible for the sales training of more than 30 consultants. Simon has always had a keen interest in the property market and joined PATTERSON HAWTHORN as a Negotiator in their Ockendon Office, in which he gained his essential knowledge of the sales process and the property market. His top rank performance as a negotiator lead to Simon being promoted to the role of Valuer in 2014, a role in which suits his vibrant personality perfectly. His obvious passion for the property market in conjunction with his in depth market knowledge make him an outstanding valuer, and the positive feedback heard about Simon on a daily basis is testimony to that. Simon enjoys going for forest walks with his two daughters and partner in his spare time. PATTERSON HAWTHORN welcomed Katie as part of their expanding team in 2015 and she has proved to be a great addition. She has a long history of working in the property industry so taking on the role as a dedicated sales progressor where she has been able to utilize her vast experience in all aspects of selling and buying has been a successful move. Katie has the perfect combination of determination, patience and in-depth knowledge to guide any sale through to completion, and her friendly and understanding personality mean that buyers and sellers find her a pleasure to deal with along the way. In her spare time Katie loves holidaying, socialising with friends and running. Charley joined us on a work experience scheme in 2008 whilst she was studying for an NVQ in Business and Administration at college, and was rewarded with a full time secretarial role with PATTERSON HAWTHORN in 2009 once she had completed her course. Charley’s astute attention to detail and impressive organisational skills have made her a true asset to PATTERSON HAWTHORN, and she does a fantastic job at ensuring the everyday administration side of things is running smoothly. She is renowned in the offices for her superhuman typing speed and remarkable ability to plough through her workload, Charley’s middle name is Efficient. Charley enjoys spending her spare time with her partner and daughter. Linda joined us in 2017 and although this is her first role in the property sector, she has slipped into the role perfectly. Her main duties involve putting properties on to the market (which she does at a phenomenal speed) as well as compiling property brochures, keeping window displays up to date and sending out sales letters, amongst other things. She has a friendly and easy-going personality and is a pleasure to have in the office, although she is often so busy putting new properties on the market that it leaves little time to talk! 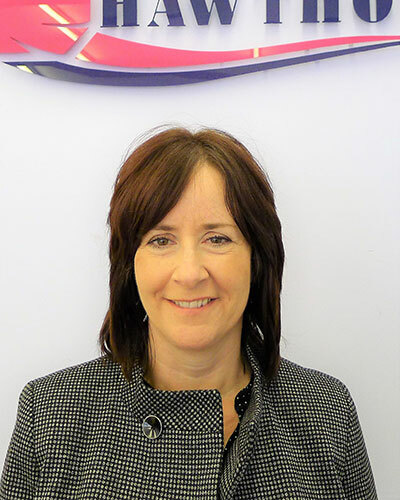 Linda’s calm and methodical approach means that she is able to plough through her workload at the busiest of times and is always happy to help other staff members whenever possible. Some of Linda’s hobbies include reading, going to the theatre and walking.